Bottom Line: SLCentral reviewed the Ultra ULT31103 4-In-1 USB Drive 128MB MP3 Player, its small, light, sturdy and packed with features. 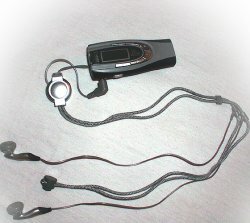 We liked the sound quality and ear buds but what about transfer speed, radio reception and controls. 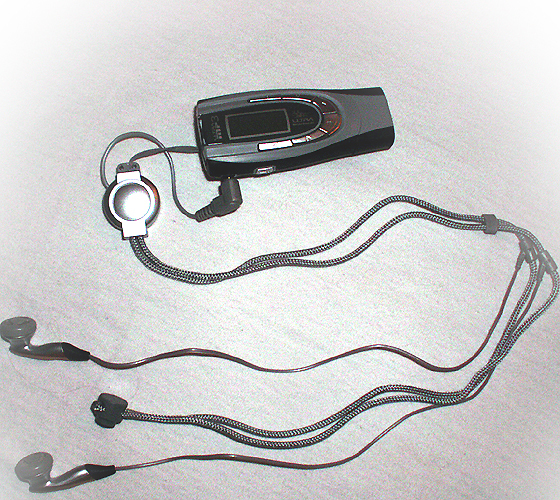 Ultra ULT31103 with ear-bud neck-band installed.